Lightly battered for extra crunch. 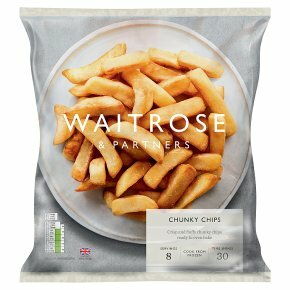 British potato chunky cut chips lightly battered for extra crispness. INGREDIENTS: potato (94%), sunflower oil, fortified wheat flour (wheat flour, calcium carbonate, iron, niacin, thiamin), maize flour, rice flour, salt.